Polishing Slurry：Our diamond slurries are made with diamond particles completely dispersed in the mixed liquids. They have fine chemical-mechanical performance and are widely used for lapping and precision polishing of silicon chips, compoundcrystals, optical devices, liquid crystal displays, gems, metallic works etc. We BW produce polishing slurry series, including monocrystalline diamond slurry 、polycrystalline diamond slurry and nano diamond slurry. Good removal effects, suitable for lapping & polishing of hard material. Polishing effects of Glasses, optical glasses etc. Polishing effects of Hard alloy, SS etc. Superb tenacity & self-sharpening features. Suitable for lapping and polishing of precision metal material, optical crystals, ceramics and hard materials. Different carriers are suitable for different fields. Polishing effects of HDD etc. Can be used as additives. 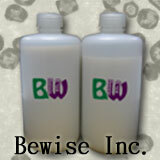 Good dispersing stability & suitable for precise surface treatment. Unique loose structure of spherical crystallite of nano diamond.